The other day I shared this amazing broccoli and oregano hummus recipe from The Flexitarian on my Facebook page, knowing that the first comment I would get would be that "chickpeas aren't Paleo". I get this all the time in my large nutrition group as well. And my standard answer is from the "authorities" in nutrition because of course myself with a nutrition diploma and a lifetime of ingredient research cannot be the common sense for many of these folks. 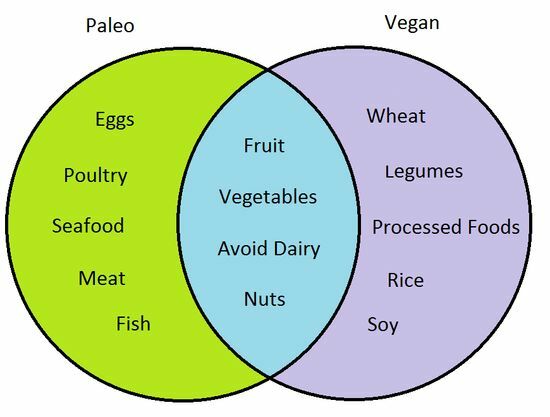 The people that hate on these sorts of posts are those that are very traditional in the defined roles of Paleo Vegan (Pegan as Dr. Mark calls it) as you can see the traditional below. t depends on where you get your information, ____. If you look at the Whole 30 Vegan/Vegetarian shopping list Tofu, lentils, and properly prepared beans are all acceptable paleo foods. Paleo Leap says, "Legumes and pseudograins (which include vegetarian staples like buckwheat and quinoa) are both promising solutions to this puzzle – as long as they’re prepared correctly." And if you have read my basics you know that this Paleo Vegeo lifestyle is all about finding YOUR nutritional truth. That means for some people chickpeas would be fine, lentils would be fine, kidney beans would be fine, and GASP ... organic tofu would be fine if it works for you. It doesn't work for me, and I am not fond of soy in general personally. But it's your personal truth not mine. I like the TEMPT Hemp Tofu... so yummy. But even some Paleo folks would want to toss me to the timbers for saying hemp is okay if you are paleo. The truth is as you know that you have to get to know yourself and that generally means doing at least 30 days elimination from all of these foods and then reintroducing one at a time to see how your body reacts to them. It's hard to be vegan. Don't you agree? Especially if you have food allergies. Even harder to be paleo and on top of it vegan. And so for us we have to be aware of genetics, digestion, micro-nutrients and macro-nutrients even more so than your average Paleo off the street. Although many of those that are Paleo should be genetically tested ans see if there are any gene mutations first. If you have the right gene mutation you should be low protein, high fat. If you are eating bacon and ribeye at every meal you could be doing serious damage to your brain and not know it otherwise. That foggy feeling may not be overwhelming life after all. And there are very few vegan protein powders for paleo folks to choose from. There is the Warrior Blend and Non-GMO Pea Protein, Hemp Protein, Sacha Inchi Protein... and I am just going to say it... rice protein. Yes I said it. I know that Paleo and Rice are not often said in the same sentence because it's not allowed. But rice in the right form can provide you with a good resistant starch. The best sources of resistant starch is going to be from those supplementary isolated starch sources, and rice protein is a better option than cold cooked rice. So I don't look at it in the same tones as I do eating rice. It's like the Alpha Meta that I have recommended to so many people. But if you don't react to a little rice you may have been looking at B-Strong by Skoop. However I would not recommend it for B12 MTRR clients because it does show in the ingredient panel that it is not methylated b12, and I did confirm with the company. I do like the Green Foods True Vitality Protein Powder, as an alternative to the B-Strong, I actually like to mix it into The A-Game. I was actually introduced to True Vitality through Choosing Raw because it has an added DHA from algal oil which if you don't eat fish you are unlikely to get. This combination is sort of like a crazy old-school Shakeo... if you know what I mean.